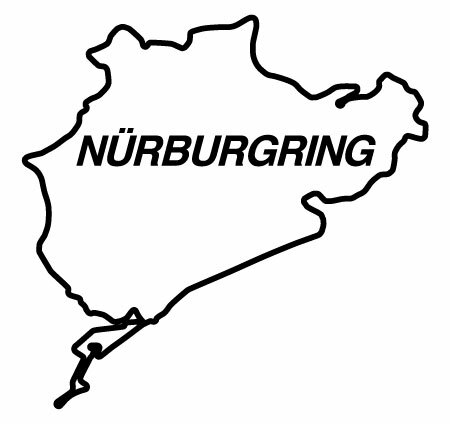 The Nürburgring is a motorsport complex that consists of several tracks including a Grand Prix track (GP-Strecke) located in Nürburg, Germany. 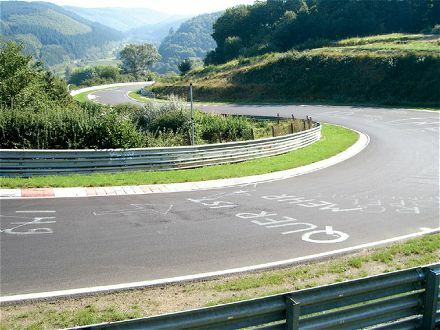 The most famous track is the Northern Loop (Nordschleife) which is open to the public most days and is a Mecca for petrol heads from all over the world. At 20.81 kms long it is one of the longest racetracks in the world and with 154 corners it is certainly the most complex and challenging. Most of the corners are blind as the track is on the side of a mountain and there are constant crests, dips and even a couple of potential jumps. It’s not called the “Green Hell” for nothing. It’s fantastic. I’d been twice before as a spectator so I thought I knew what to expect. I’d also spent a fair bit of time on racetracks back in New Zealand so I was feeling quietly confident. I was in for a wake-up call. This track is not at all like the short, flat, sparsely populated tracks I’d driven on in my Subaru. This is an extremely fast, intense track with chicanes, dips, crests, uphill, downhill, blind corners and it is too long to commit to memory without many, many laps experience. Combine this with constant pressure from Porsche 911’s and BMW M3’s coming up behind me at high speed, not to mention the Ring Taxi, and there was a distinct possibility that I would be reduced to a dribbling wreck. 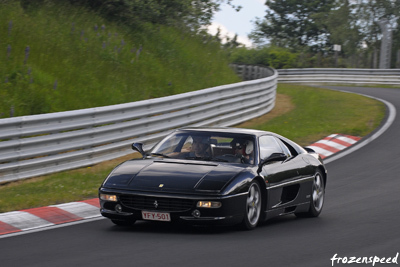 I drove from Belgium to Nürburg in convoy with a few other people in a Porsche 911, a BMW 3er Touring, and the Ferrari 355. Through Germany this was extremely highspeed at around 220kph so I was well warmed up by the time we arrived. My friend has much experience of the ‘Ring so he took me out first in the Ferrari to experience the track and see what I was getting myself into. This was a very fast lap (I don’t believe we were passed by anything) and initially I was mildly terrified. However, I was able to relax after the first couple of kilometres when it became apparent that my chauffeur knew what he was doing. I’m always happy in the hands of a competent driver. The most amazing aspect of this lap was the grip that Ferrari had through the corners. Barely a wriggle or tyre squeal as we barrelled round the bends. Put that down to very large tyres, low centre of gravity and a wide track. Oh, and the fact that it’s a Ferrari! Once that lap was completed (in less than 10 minutes) we took a little time to wander around and check out the merchandise in the carpark. Gorgeous sunny day and much eye-candy as you can see from the photos. Ferraris, Lamborghinis, Porsches of every flavour, BMW M3’s, Corvettes, and, the highlight of my day, a Mercedes SLS AMG Gullwing! This Swedish-owned masterpiece in red was being driven round the track along with everything else. Then came time for me to do a lap in my BMW. 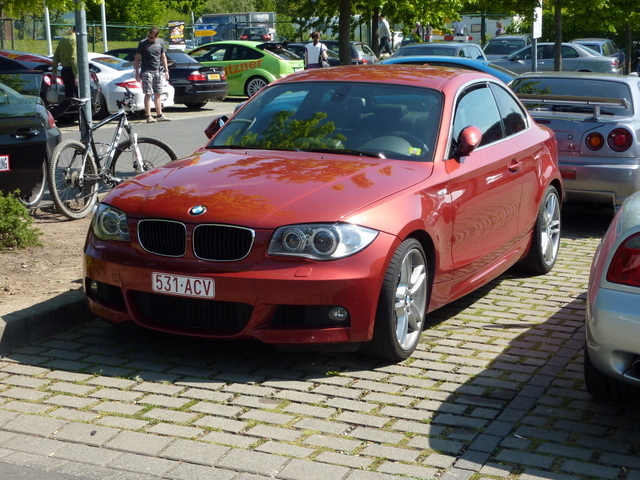 It is a 123d coupe and was probably just about the cheapest car in the parking lot. Nonetheless it is still too expensive for me to crash so this was going to be a cautious lap. That and I’d optimistically bought myself 4 laps so I wanted to get my money’s worth. Following a seating position check we set off with my friend in the passenger seat to give me instruction – very useful! I very quickly realised that I wasn’t going to be anything approximating fast as I was quickly passed by a procession of much more exotic machinery but that was ok. I just wanted to survive the first lap with the shiny side up. I’ll freely admit I was pretty terrible initially. Braking in corners rather than on the straight, changing gear mid-corner upsetting the weight balance, missing apexes, I did it all. Even managed to lose the back end about quarter of the way through the first lap although it was masterfully caught and corrected (not by me – clever BMW electronics…). However, with gentle but insistent prodding by my co-pilot I started to take the instructions onboard and remember them. We continued straight through for a second lap which turned out to be a little messy. The track was quite busy and I was feeling a little flustered. But there was promise showing and the occasional well-executed racing line amongst all the dodgy gear changes and muffed braking points. So I exited the track after the second lap for a break and to take stock. The BMW had done well given that it was entirely road-spec and I hadn’t done anything to prepare it for its track debut. The brake pedal went a little soft but the brakes never faded and it was still braking strongly even after two continuous laps. Bear in mind that’s 42 kilometres! The steering in the 1er is electric so there was no hint of the problem which used to plague my old Subaru, namely the power-steering fluid over-heating. The only component that really let it down was the tyres. They over-heated and I could really feel the grip going out of them. This was my fault for not pumping up the pressure – didn’t think of it – next time. 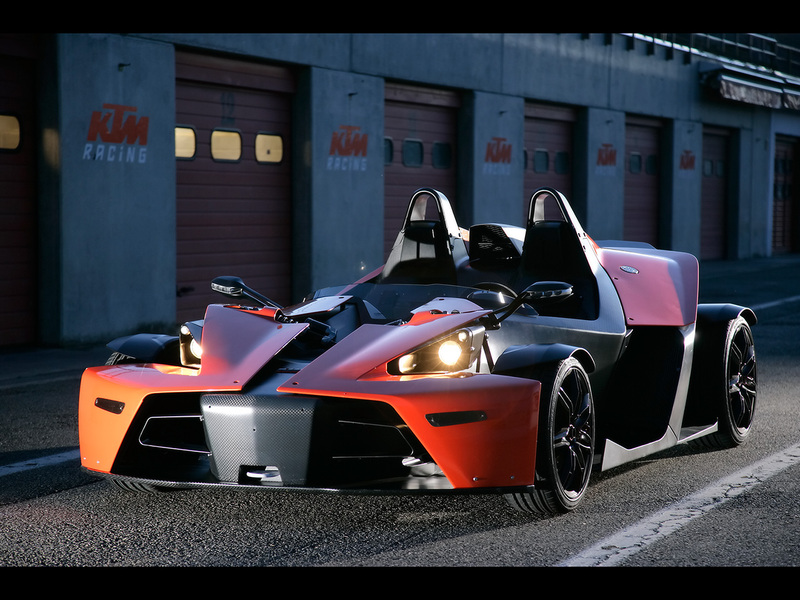 We then had some lunch – tasty burger – after some of the guys had been for hot laps in a KTM X-Bow! One of them was an F16 fighter pilot and even he came back ashen-faced from the sheer brutality of that machine under braking and cornering. I actually didn’t want a ride – figured the Ferrari was enough pant-wetting exhilaration for one day. While we were lunching the track was unfortunately closed due to a serious Porsche v Armco incident. The Porsche left on a truck and the driver left in an ambulance – hope he’s ok. Happily for me though, I was one of the first through the gate when the track reopened which meant I had a relatively clear, traffic-free lap. This enabled me to focus more on what I should be doing without worrying so much about all the shiny objects in my rear-view mirror. I’m happy to report that my 3rd lap was much tidier than the previous 2 and I was able to concentrate on braking before the corners, turning in and holding consistent lines without upsetting the car’s balance. This lap probably wasn’t that fast either as this time I didn’t have a navigator to tell me what was coming up over the blind crests. I continued straight through for a 4th and final lap and I believe this was probably my best because now I was starting to remember the track so I could anticipate what was coming up and not brake unnecessarily. There was more traffic than the previous lap but this actually gave me the opportunity to pass a few people, albeit very slow people. (Who takes an X5 SUV on a racetrack anyway!?) There are some lovely chicanes at one point on the track where you can just shoot straight through the middle with the car dancing lightly first left and then right. I enjoyed that bit. And there’s the dipper with a big hump on the way down over which one would get serious air if one wasn’t prepared. That would not be recommended as directly after the jump is a rather serious right hander. Hard to brake or turn corners when your wheels aren’t touching the ground! I could feel as this lap came to an end that my front tyres had seriously had enough. Grip was reducing and there was beading on the left tyre causing some vibration. Good time to end then. The BMW did well and, despite enormous room for improvement, I don’t think I did too badly either. The BMW is built for the task (M-Sport package and all) and I’m not! Just don’t go to the Nürburgring thinking it will be fun to casually drive round it. It’s a serious racetrack filled with serious drivers piloting serious machines and it doesn’t suffer fools. Following my 4th lap I exited, rendezvoused with the Ferrari and we set off back to Belgium. Needed a small fuel stop on the way before another high speed run up towards Aachen. Two and a half hours later I was safely home in Antwerp with slightly less brake pads, a lot less tyres, and quite a bit more sunburn. 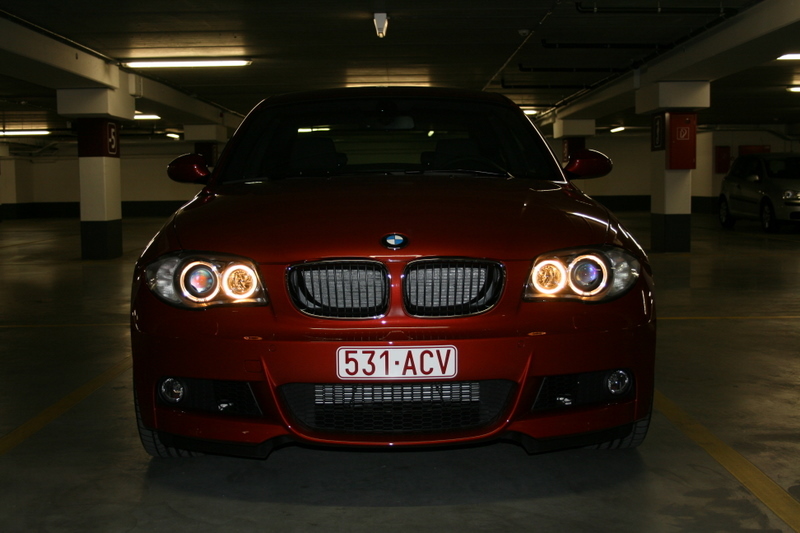 And as for fuel consumption, the BMW 123d endured 5 hours of high speed autobahn, 84 kilometres of Nürburgring thrashing, and still achieved 7.6litres/100 kilometres. Nice. On reflection reconnoitred was not the right word. It means to assess the lie of the land. I’ve replaced it with rendezvoused which was what I meant to say. Brilliant description of the Green Hell “consuming” the Orange Diesel.